We are experts in the manufacture of medium and large size moulds for the plastics industry. 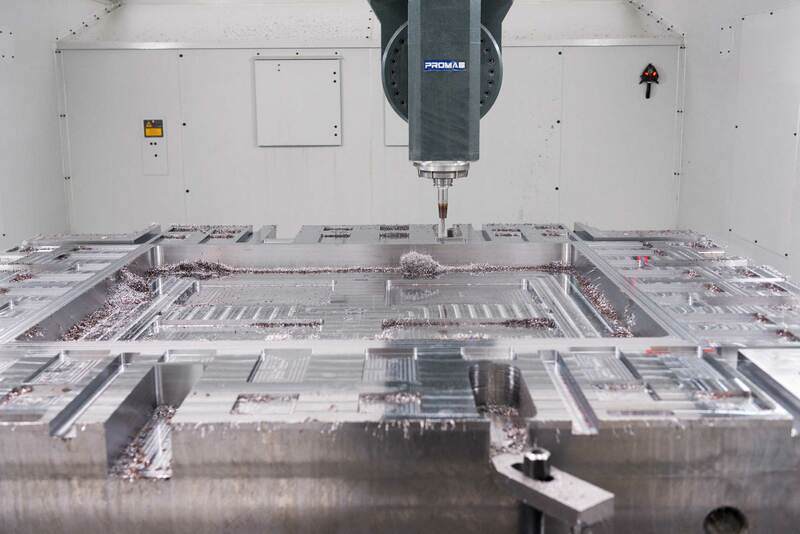 With a production capacity of up to 40 tonnes moulds, we develop and manufacture moulds for various sectors, such as the automotive, packaging and household appliances. Since we believe that precision, quality and innovation get in on our evolution, the restructuring of our machines park has been constant. We bet on last generation 5 axes technology, small cells of robotic manufacture and three-dimensional control equipment. Our products are carefully checked in order to ensure the desired quality. 20 years of experience result in unmatched Know-How already recognized by our clients. Our teams, duly qualified, demonstrate the ability to develop and produce a variety of high complexity moulds. The results are substantiated in bi-material, "Stack", "Tandem" and "Mucell" moulds which we usually develop and manufacture, always satisfying the needs and expectations of our clients. The implemented and certified quality management system (for about 15 years) mirrors our concern to continuously improve the performance of the organization. With a young and dynamic team, creativity has no limits. And to support the implementation of ideas, we created a management system for Research, Development and Innovation. Able to answer any client, the sales staff assumes the commitment to review all requests received in order to offer the best possible solutions. Consisting of specialized professionals, the project team offers final product development services, mould design as well as filling and warping studies, ensuring the best way to produce, assemble and work with the mould. A multidisciplinary team defines strategies and methods aimed at reducing production times and optimizing the accomplishment of the work. The team follows up the manufacturing process to ensure the effectiveness of the defined strategies and the fulfilment of stipulated deadlines. 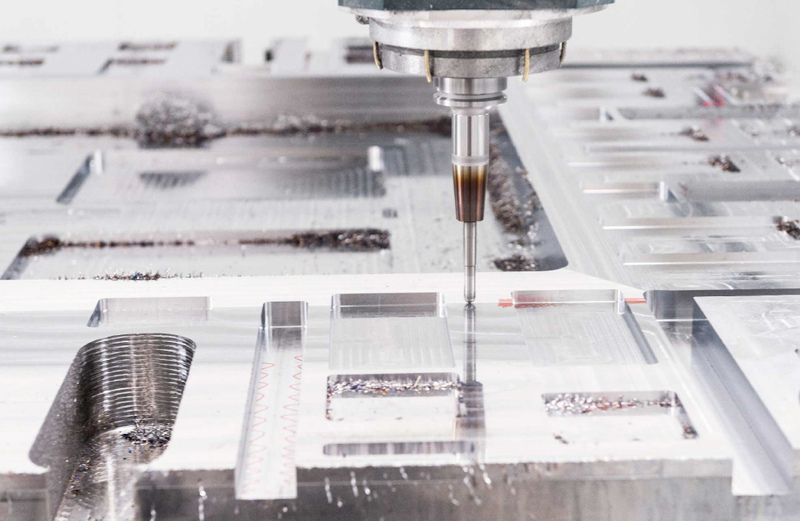 Equipped with the latest technologies, manufacturing covers areas such as drilling, 3 and 5 axes machining, erosion, conventional flatting and milling. Competent professionals innovate in the processes and selection of the best tools. With three-dimensional verification equipment, the team conducts the necessary measurements to validate the work performed in the production. Dimensional control reports are issued and sent to the client whenever requested. The experience and professionalism of our bench operators guarantee the finishing of the mould according to the project carried out. With all the equipment available, including adjustment presses, works of greater complexity are finished with the desired quality. 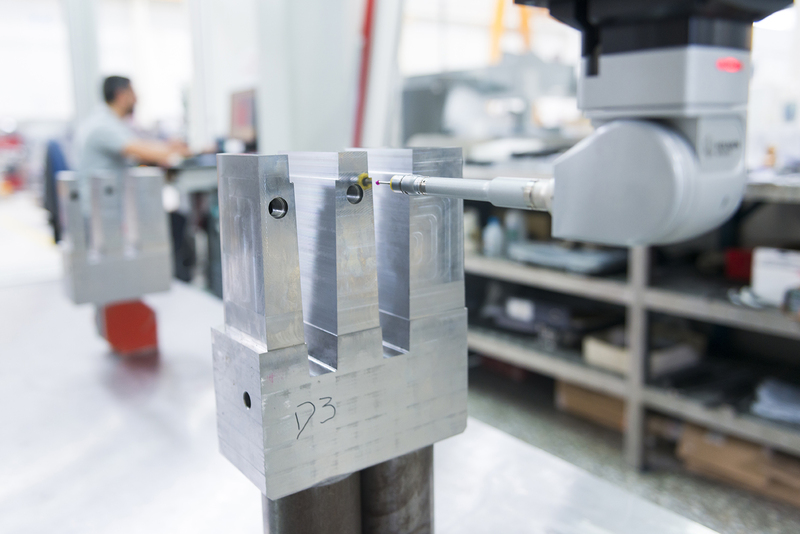 All our moulds are rigorously tested in order to ensure not only their correct operation, but also to confirm that the results obtained in the plastic parts meet the needs and requirements of our customers. The relationship with the customer goes beyond the shipment of the mould. At their request and when the complexity of the mould so requires, we send a team of our professionals who ensure the start of the production of plastic parts. We give quick and effective answers to any customer needs. If you want to contact us, choose one of these channels.